G’day! to all three of you who waste your life reading this sorry excuse for a blog, I say welcome back. Firstly. you can forget all about the promised ‘new look’ to Oh I Say, at least for now. But more frequent and varied posts? Consider it done. 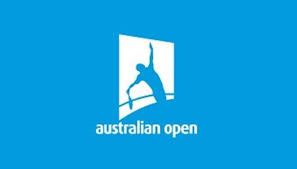 Straight to business then and barely a fortnight into the new year and the first major is upon us (full results round-up covering the pre-Melbourne tournies will of course be with y’all at the end of the month) and as ever in Melbourne, things remain impossible to predict. Despite the futility of the task ahead, here goes. One cannot look past Novak Djokovic for the men’s title such was the sparkling form of the Serbinator at the tale-end of last year coupled with a consistency at this slam that tells it’s own story. True after the 2013 he enjoyed it’d be a wise man to bet against a certain Spaniard, but not only did Rafa come up short in London against Djoko, but the new courts in Melbourne are said to be quicker than before and thus not quite Nadal’s cup of Sangria. Throw in a tough opener against a bulked up Tomic and things look far from rosy for the star of 2013.
whipping boy – and another favourite of mine – Lleyton is beating the Swiss then his prospects are slim. Of the women, the safe money would be on Serena but I fancy Azarenka to get her revenge on last year which saw the American take not all but certainly the biggest spoils which would have otherwise be the Belarussian’s for the taking. Roland Garros aside, Australia remains a somewhat erratic hunting ground for Williams compared to Wimbles and NYC. Who will have a good tournament may well be easier to guestimate. Certainly the aforementioned Hewitt could continue to shock a few seeds whilst one can never discount the likes of Li Na, Wawrinka, Kvitova or Sam Stosur (good one!). To predict these or indeed any result for the next fortnight is folly, especially for yours truly, but I will enjoy finding out. The preparation’s have been made; espresso’s downed, drawsheets printed out with seeded players highlighted and Eurosport Player giving me a Command Centre-esque seven courts to choose from; game on!